Hi Nika, your photos and description of the show are spot on! This is such a GREAT way to meet other bloggers. Until next timeÃ¢â‚¬Â¦.cheers! 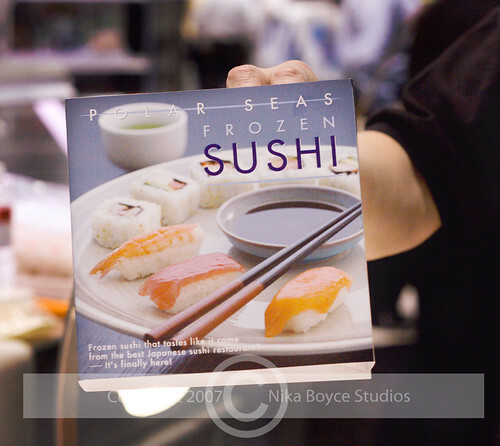 Hard to believe that frozen sushi can be good! To me, you have to eat sushi fres, even if refrigerated overnight, it loses its appeal (my personal taste). I wonder what differences there are in the ingredients or process. 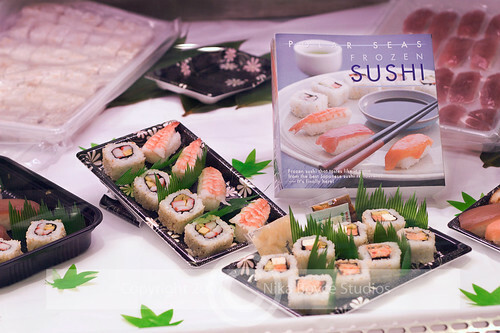 I keep meaning to try making our own sushi, but just haven’t done it yet! 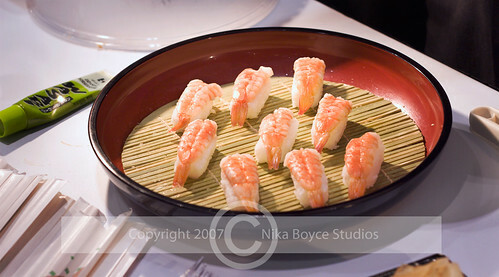 But I absolutely love sushi and it can be a very expensive habit, so I need to give homemade a try! Deborah: I know, I totally agree with you. Nothing can ever replace sitting at the sushi bar sipping green tea or some hot miso soup and watching the sushi dude flailing his arms about in deep concentration, making your sushi just for you! I like to try new things at this show but I would not have tried it in the grocery store because, like I said, I have had just vile cooled (tho “just made”) sushi at even better foofy “natural” grocery stores. I did not get a chance to talk food science with the people presenting it so I do not know how they do it. I have made veg sushi at home (we live 70 miles from the closest source of sushi grade fish) and had a great time of it. Make sure to make only as much as you need for a single sitting!